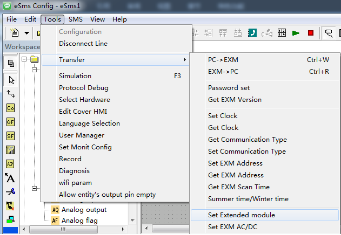 xLogic from VSL – I have changed the ID of my EXM-E expansion unit but the CPU won’t communicate. What’s wrong? NOTE: All expansion unit addresses MUST be UNIQUE and MUST be set before applying supply to connected CPU! Don’t panic, there’s nothing wrong! By default the EXM and ELC-12 Ethernet CPU’s have their COM ports configured for an RS485 expansion unit. To enable the CPU to use EXM-E expansion units you need to enable the CPU COM port, which can be done in one of 2-ways. 1. Within the software establish a connection to the EXM or ELC-12 Ethernet CPU. 2. 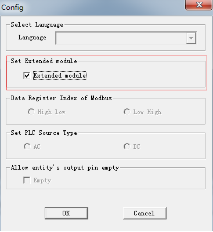 From the menu select Tools -> Set Extended Module. 5. Recycle power to the CPU.